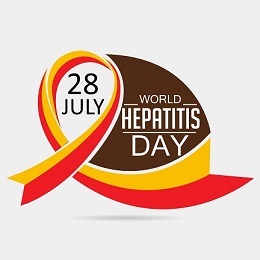 Today (28th July) is World Hepatitis Day. Hepatitis is an inflammation of the liver. It can affect any individual of any age including children. Theme of World Hepatitis Day 2018 : "Test. Treat. Hepatitis"
Theme of World Hepatitis Day 2017 : "Eliminate Hepatitis"
Note : World Hepatitis Day is one of eight official global public health campaigns marked by the World Health Organization (WHO). Prime Minister Narendra Modi arrived in the New Delhi today after completing a 5-day tour to three African nations. Modi departed from Air Force Base Waterkloof in Johannesburg on Friday, after attending the 10th annual BRICS (Brazil, Russia, India, China and South Africa) Summit. As part of his five-day official tour, Prime Minister Modi first visited Kigali, Rwanda. He did a one-on-one meeting and delegation-level talks with the President of the Republic of Rwanda, Paul Kagame. India and Rwanda signed 8 agreements in an effort to bolster bilateral cooperation between the two countries. Modi also gifted 200 cows to villagers as a part of Rwandan Government’s Girinka Programme. Under this programme, the poorest residing in the region get cows from the government and gift the first female calf to a neighbour to promote brotherhood. Later, He arrived in Kampala, Uganda and held delegation-level talks with Ugandan President, Yoweri Museveni. Modi said India would continue to play a stable partner in Uganda’s journey towards development. Later, he arrived in South Africa to participate in the 10 BRICS summit. India signed several MoUs in the fields of education, skill, health, and agriculture with South Africa. Modi stressed on the need for BRICS cooperation for global portable social security framework, intended to benefit nearly 215 million people who were working outside their nations. On the second day of the summit, Modi said that India intended to closely work with BRICS nations on the Fourth Industrial Revolution. Modi also held separate bilateral meetings with Chinese President Xi Jinping and Russian President Vladimir Putin on the sidelines of the summit. He also held bilateral meetings with the presidents of Argentina (Mauricio Macri) and Angola (Joao Lourenco) and discussed ways to boost ties, including in areas of energy and agriculture. On the last day of the BRICS summit, Modi re-affirmed India’s support to African countries. Theme of BRICS Summit 2018 : ‘BRICS in Africa – collaboration for inclusive growth and shared prosperity in the Fourth Industrial Revolution’. The 6th India-UK Science & Innovation Council (SIC) meeting was held today at New Delhi. Dr. Harsh Vardhan, Minister of Science & Technology, Earth Sciences & Environment, Forests and Climate Change, India and Mr. Sam Gyimah, Minister for Universities,Science, Research and Innovation, UK led the Indian and UK delegations respectively. The Two Ministers discussed a range of issues on Science & Technology cooperation between the two countries . As many as 1 lakh students in 100 schools across India will assemble Solar Lamps on October 2 to commemorate Mahatma Gandhi's 150th birth anniversary and celebrate IIT-Bombay's diamond jubilee. The initiative is aimed at promoting solar energy amid growing challenges of rising global temperatures. The 2nd Young Superintendent of Police Conference was held in New Delhi. The 2-day conference was inaugurated by Union Home Minister Rajnath Singh. Theme of this conference : “Predictive Policing and Contemporary Challenges for Indian Police Forces”. Chiyo Miyako, a 117-year-old Japanese woman, died today, days after her applications for the titles of 'oldest person living' and 'oldest person living (female)' were approved. Chiyo was born in Wakayama in Kansai region of Japan on May 2, 1901, and is 117 years 81 days old when she died. The new record-holder is yet to be confirmed. A panel headed by retired Supreme Court judge B N Srikrishna submitted its report to the government on suggestions for a data protection law that will also cover Aadhaar. The panel recommended certain measures for protecting personal information, defining obligations of data processors and the rights of individuals. It also suggested various penalties for violation of data privacy. TPU means Tensor Processing Unit. The new hardware chip is purpose-built application-specific integrated circuit (ASIC) designed to run AI at the edge. It so small that four such chips can fit on US penny. Vice-President M. Venkaiah Naidu has been appointed as the Chancellor of Pondicherry Central University. The tenure of the Chancellor will be five years. Fast-moving consumer goods giant ITC overtook Hindustan Unilever (HUL) to become India's fourth most valued firm in terms of market capitalisation. India’s Manu Attri and Sumeeth Reddy won the Men’s doubles title at Lagos International Badminton 2018 in Lagos, Nigeria.